Over the weekend, we had the pleasure of attending the wonderful wedding of our friends, Adam and Daniel. It was romantic, fun, intimate, and inspiring. There were joyful tears and laughter that filled the celebrations in the room. The wedding was amazing and we were happy to be a part of their special moment. There is something special about spring weddings, they remind me of hope and strength. I always think of the brightly colored flowers that begin to sprout above the sometimes snow-covered soil. They seem resilient and ready to flourish displaying signs of what wonderful things are to come as the temperatures get warmer. Each spring I hope that I will have stunning daffodils in the garden but they seem to avoid me. My gardening skills need a bit of fine tuning. By the way what was up with the snow we had on the East Coast earlier this week, it's spring! There is absolutely no need for anymore snow now. Spring gets me super excited since it heralds the onset of all the fresh produce of the land. I'm also getting closer and closer in opening up our grill on the patio and long for the day when I can char the heck out of things! 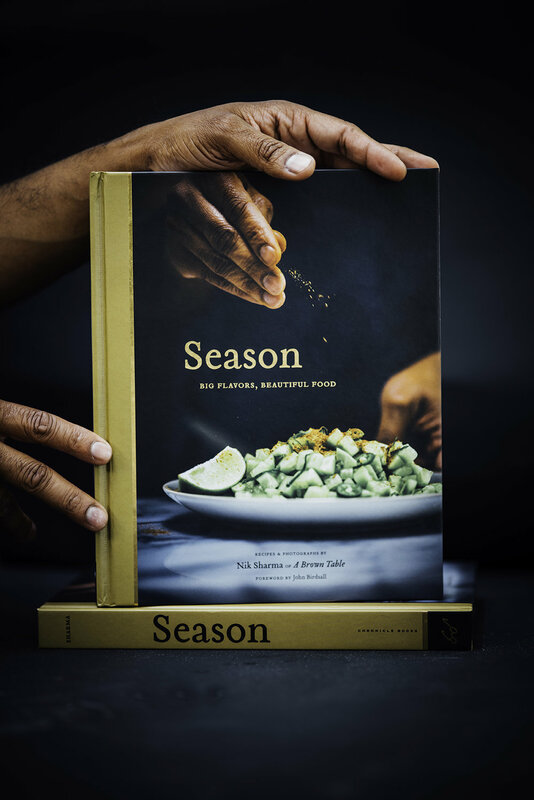 One of my favorite recipes this spring, is something I've tried and tested on some of my friends. 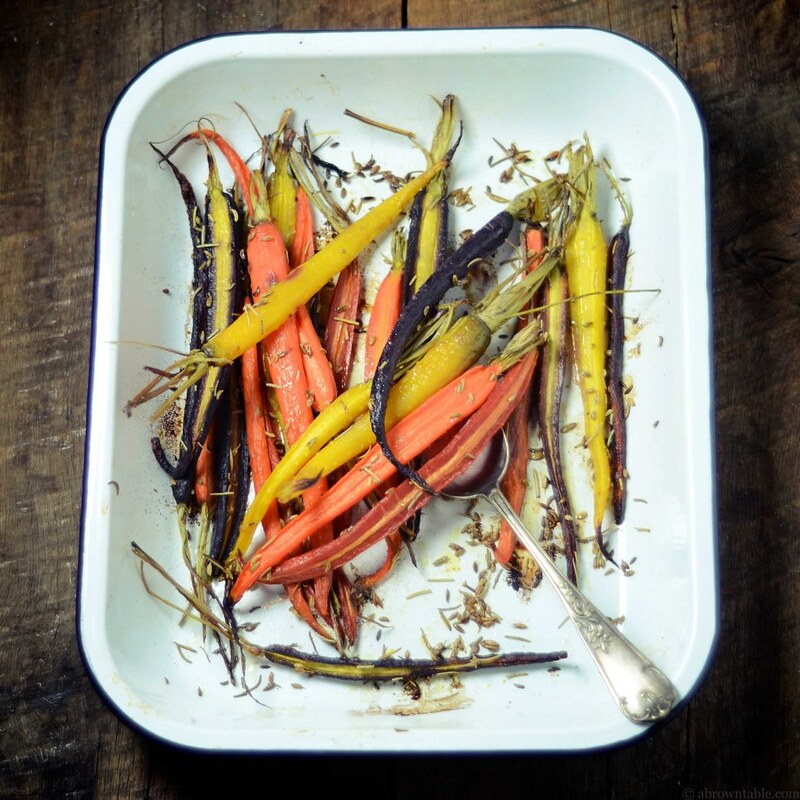 Since it was still a bit chilly to get the grill out, I roasted these carrots in the oven with a slight sprinkling of fennel seeds, dried rosemary, sea-salt, and a little splash of olive oil. The roasted fennel seeds go really well with the rest of the ingredients in this simple dish. 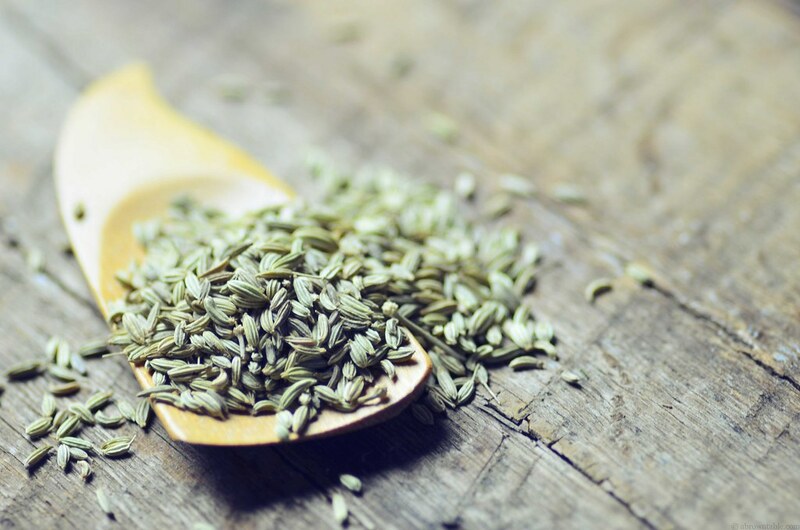 In Indian cooking, fennel seeds are often dry roasted in pans and then ground to make a variety of spice rubs and mixes but it is also common to find them served after a meal as a digestive and mouth freshener. You might sometimes find this in the form of tiny sugar-coated fennel seeds in an assortment of different colors at Indian restaurants. If you use rainbow carrots, be careful with the dark purple variety, they tend to caramelize faster then the lighter colored kind and can burn (This always reminds me of a physics class I took, Ferry's perfect black body and the rules around it, darker matter absorbs more energy like heat). If they cook earlier than the rest, I would suggest taking them out of the pan and then cooking the rest of the carrots a little longer. You can mix them together before serving. 1. Position a rack in the middle of the oven and preheat to 400F. 2. Wash and peel the carrots. Pat the carrots dry with a clean kitchen towel or paper. 3. 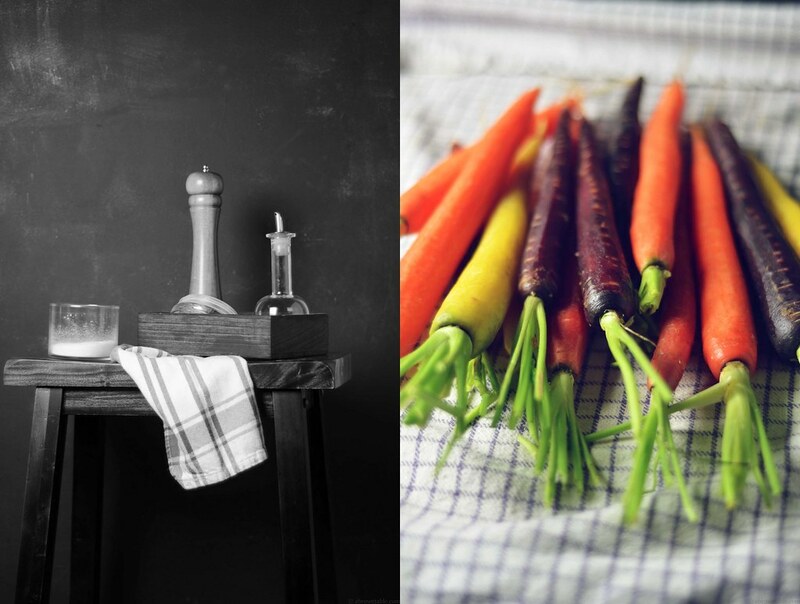 With a sharp knife, slit the carrots in half across their length. Place the carrots in a roasting or baking pan. Sprinkle and drizzle the rest of the ingredients over the carrots. 4. Place the pan with the carrots in the oven and roast the carrots until tender for about 25 minutes. You can check the tenderness of the carrots with a fork. Serve warm. In "Carrots", "Fennel", "Indian", "Roast", "Rosemary", "Sea-Salt", "Vegetarian"